In the UK it is illegal to drive a vehicle after consuming a certain amount of alcohol. This is because the alcohol can cloud your judgement and slow your reactions, this increases your chances of having an accident which could not only jeopardise you life, but also the lives of other passengers, pedestrians and other drivers. The limit for driving cannot be properly translated into units consumed as alcohol effects everyone differently. Factors that contribute to the way that alcohol effects someone include their metabolism, food they have recently consumed (those who drink a bottle of wine after no dinner will be worse effected than those who have recently eaten a hearty dinner) and their stress levels. However, as a guideline it is recommended that people should not drive after consuming more than three units. Nevertheless, the best idea is not drink any alcohol at all if you plan on driving. There are various tests used to establish if a person is drunk while operating a vehicle. Portable breath tests are used on the road side, as well as at the police station. If a driver fails the breath test, they may be asked to submit a blood sample. A urine test can also be done, but this is the least accurate out of the three types of test. if you refuse to give a specimen for an alcohol analysis you can be penalised in the UK. You could be given a driving ban, a £5000 fine and 6 months in prison. The punishments for refusing to give a sample are just as severe as actually being caught drunk driving! 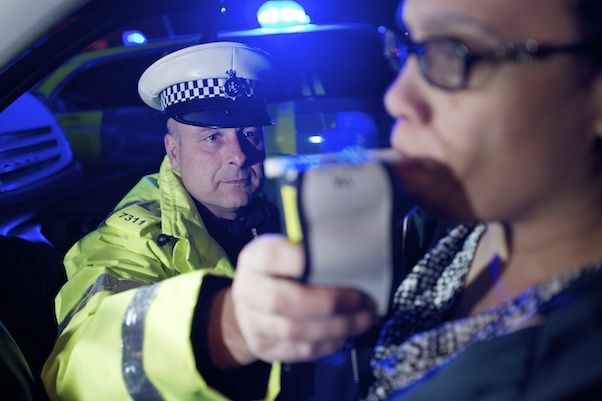 Regardless of how 'well' you are feeling you are considered too drunk to drive in the UK if there is more than 35 microgrammes of alcohol in 100 millilitres of breath, more than 80 milligrams of alcohol in 100 millilitres of blood or more than 107 milligrams of alcohol in 100 millilitres of urine. Surprisingly, these figures mean that the UK is actually one of the most generous in terms of drink driving! Drink driving is a serious offence and their are hefty penalties should you be found drink driving. The actual punishment that you will receive is ultimately up to the magistrate but, if you are found to in charge of a vehicle while you are above the limit you may be subject to a fine of up to £2,500, 3 months in prison and you may even be banned from driving. If you are found actually driving or attempting to drive a vehicle when drunk, the penalties are more severe. You may find yourself imprisoned for up to half a year, given a £5000 fine and a driving ban. If you actually kill anyone by drink driving the fines will be considerably more.